The GS-412B by Hercules is already a classic. 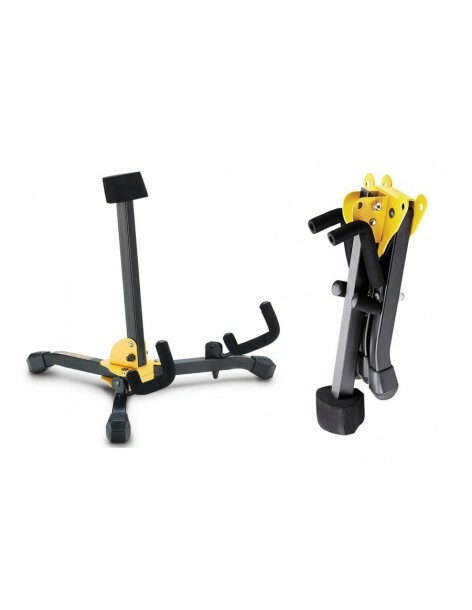 Suitable for almost any guitar, it's also very safe thanks to its Auto Grip system. It features SFF foam that never harms your guitar's finish. 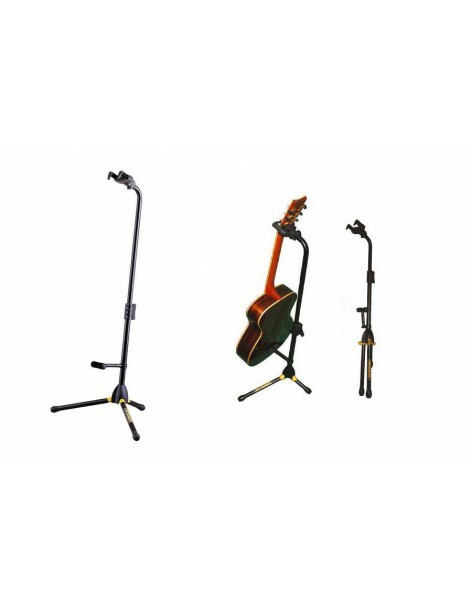 Guitar and Bass stand Hercules GS-402B was designed as one-piece stand to ease transport and packing. It features blocking pins on the base for more security. The legs have SFF foam, which never reacts with instrument lacquer.